Asus GeForce GTX 780 STRIX OC 6GB GDDR5 Edition Revealed - Looks Like an Owl! Asus GeForce GTX 780 STRIX OC 6GB GDDR5 Edition Revealed – Looks Like an Owl! 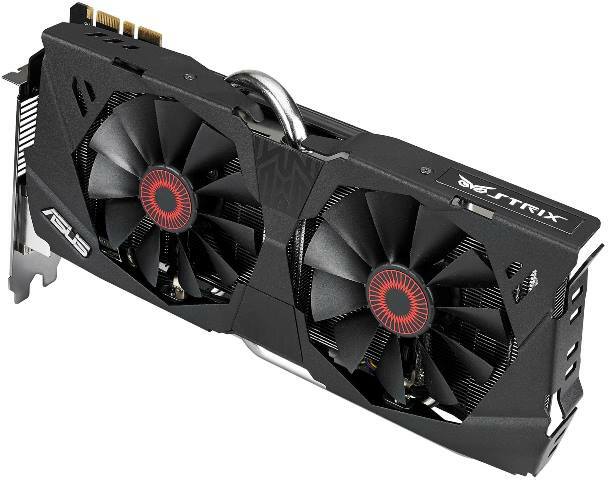 Asus has recently revealed their latest high-end graphics card – the Asus GeForce GTX 780 STRIX OC Edition, featuring 6GB of GDDR5 memory and a new cooler design. Actually, Asus is not the only company that will be releasing a 6GB version of the GTX 780. EVGA, Palit, Gainward (and perhaps other companies) are also planning to release a 6GB version of the GTX 780 as well. The Asus GTX 780 STRIX is not an ROG lineup. It might look like a DirectCU II line but Asus has launched a new series called STRIX. Check out the rest of its features and specifications below. The Asus GTX 780 STRIX OC Edition, like I said earlier, will have 6GB of memory. The card is using Asus’ award winning DirectCU II cooler but it features an all-black metal shroud with a red eye-like sticker on both fans. I don’t know if you noticed this or not, but if you look at the STRIX GTX 780, it looks like an owl. The logo of the brand “STRIX” also looks like an owl’s eye. Well, I did a little research and found out that “STRIX was the Ancient Roman and Greek word for owl. In folklore it was considered a bird of ill omen that fed on human flesh and blood, a product of metamorphosis”. Well, that sounds a little bit creepy. So that’s where Asus got the name and why the card’s shroud looks like an owl’s eye. Anyway, the Asus GTX 780 STRIX also features a zero noise or 0dB fan feature. This means that the fans will literally stop when the card is in idle or during light loads. This feature reminds me of an owl again, silent, and it only moves when needed. The technology isn’t new actually, since PSUs have this kind of feature. But it is new for graphics cards. 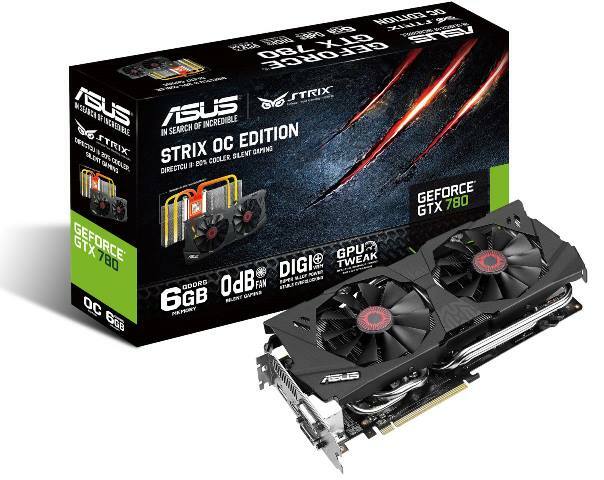 The Asus STRIX GTX 780 will also feature DIGI+ VRM, and since this is an OC Edition expect that it will have factory overclocked settings. At this time, Asus hasn’t revealed detailed specifications of the card yet. But I’m guessing that base and boost clock speeds might be above 889MHZ and 941MHz. Those are the clock speeds of the GTX780-DC2OC-3GD5 by the way. The Asus GeForce GTX 780 STRIX also features 2304 CUDA cores and those 6GB of memory is expected to be running on a 384-bit memory interface, with an effective memory clock speed of probably 6008 MHz. Based on its SLI fingers, it may support up to 4-way SLI. It also has a DisplayPort, an HDMI port and two DVI ports that could possibly support up to 4 display monitors in a single card. Manufacturer’s suggested retail price for the GTX 780 STIX is also unknown as of today, but I’m guessing that it will be around $500 USD (or more), since the GTX 780 DirectCU II OC 3GD variant is currently priced at $488. I’ll post an update as soon as Asus reveals more about their new STRIX lineup.